Imagine you start choking while sleeping or stop breathing while sleeping! 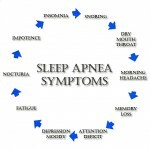 I know it sounds scary, yet many of you may be suffering from this sleeping disorder known as sleep apnea. This condition is characterized by abnormal pauses or low breathing while sleeping. You might think that if you stop breathing while sleeping you will realize it immediately thus get professional help, but in truth most people who suffer from this condition never find out unless the episode is witnessed by someone else. In the subsequent paragraphs I shall explain the various types and symptoms of sleep apnea to help you identify this sleeping problem easily. 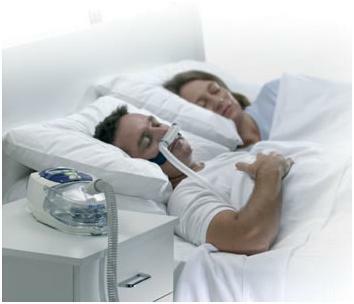 Most popular treatment for those who stop breathing while sleeping is to use a CPAP device. 1) You stop breathing while sleeping: While you may not notice, a loved one or someone sleeping next to you may. 2) Choking while sleeping: If you choke while sleeping, you will wake up at odd times at night but again you may not realise anything was wrong. Extreme Fatigue and Daytime Sleepiness: If you have sleep apnea, in most cases you will not be able to get a peaceful night’s sleep. This will cause extreme fatigue and sleepiness during the day. Insomnia: Many a times the only condition that is shown by people is lack of sleep at night or insomnia. Thus doctors make the mistake of falsely diagnose sleep apnea as insomnia. Poor Focus: Due to the lack of sleep, the brain remains tired and people cannot concentrate or focus for long periods of times on any work. Problems with Memory: Sometimes people with this condition suffer from memory lapses. Anxiety and Irritability: The lack of peaceful sleep causes a change in peoples personality, thus you may feel highly irritated or anxious during the day. Headaches: At times the lack of sleep expresses itself in the form of headaches which will prevent you from performing work related duties. Arrhythmia or irregular heart rate may be found. If you think that you have one or more of the above symptoms or if a loved one has seen you stop breathing while sleeping, choking while sleeping visit a doctor and be sure to share all the symptoms you noticed. It will make diagnosis of sleep apnea easier. Central Sleep Apnea: In this type, the abnormally low or lack of breathing is caused due to the lack of effort on the part of the respiratory system. Obstructive Sleep Apnea: This is a far more dangerous type which is caused due to a physical block of the air passageway. Mixed Sleep Apnea: This condition is a mixture of both central and obstructive apnea. 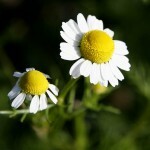 Diagnosis of the condition is hard due to the variability and large number of actual symptoms. These symptoms may be caused due to a host of other diseases and conditions. When you consult a doctor with your symptoms, if he suspects that you have apnea. 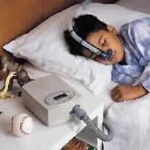 A polysomnography or sleep study will be done by a sleep specialist. When the study is done, the episodes when they strike can be captured thus proving sleep apnea. 1) Behavioural Changes: The doctor may ask you to lose weight if you are obese, sleep in a particular position, increase in sleep hygiene. 2) Medication: Depending on the root cause of the apnea, different medication such as anti depressants, decongestants and nasal sprays may be prescribed. 3) Appliances: Dental appliances also known as mouth pieces or mouth guards that will hold the jaw in a specific position to increase the size of the air passageway may be provided. 4) CPAP: Here a mask will deliver air under pressure to ensure that the tissues remain open while sleeping. This method is considered as the best surgical alternative for sleep apnea. Surgical Treatment: If you are looking for a cure with a single treatment then surgery may be the best option for you. So even if you stop breathing while sleeping, don’t worry. With early identification, diagnosis treatment is easy and finally you will be able to sleep peacefully.